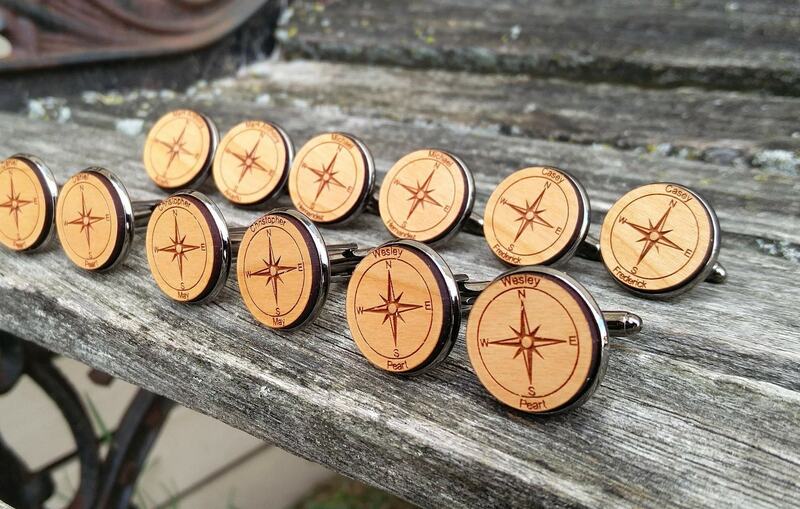 Personalized Compass Cufflinks. Name, Personalized Monogram. Wedding, Men, Groom Gift, Fifth Anniversary Gift. Groomsmen. Wood. 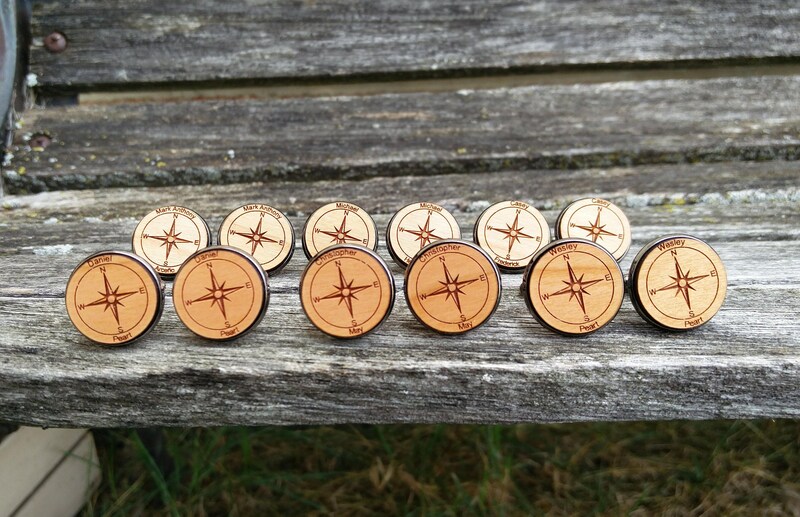 These compass cufflinks are perfect for a gift! 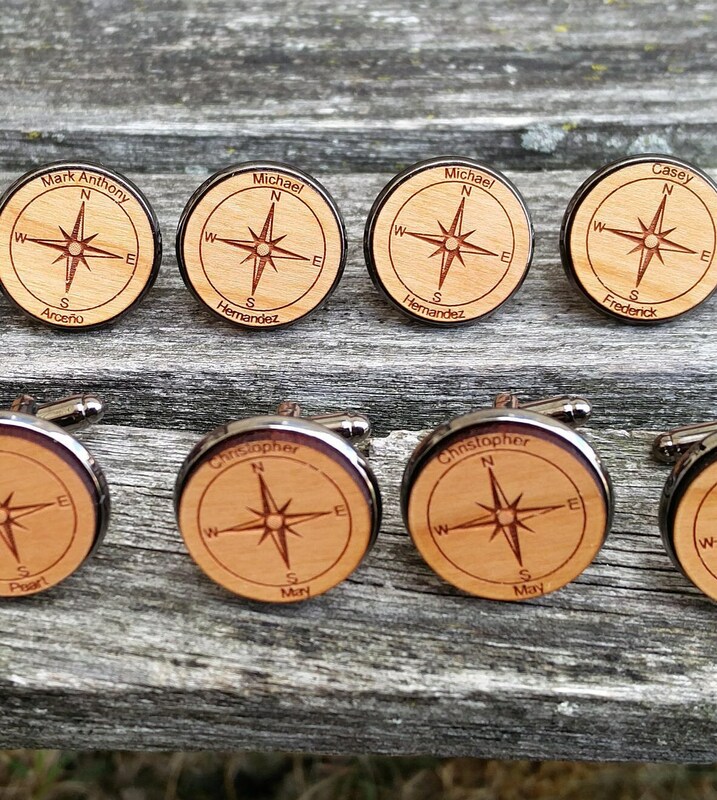 They can be engraved with a first and last name. 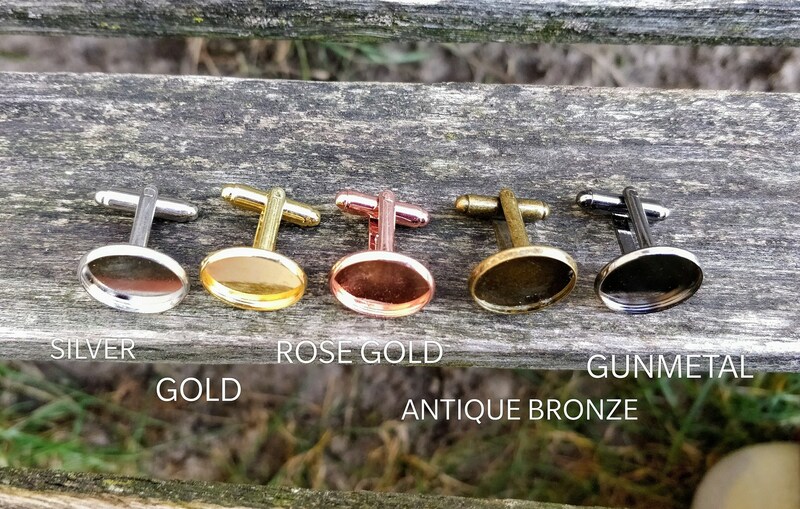 You can also choose your cufflink color. 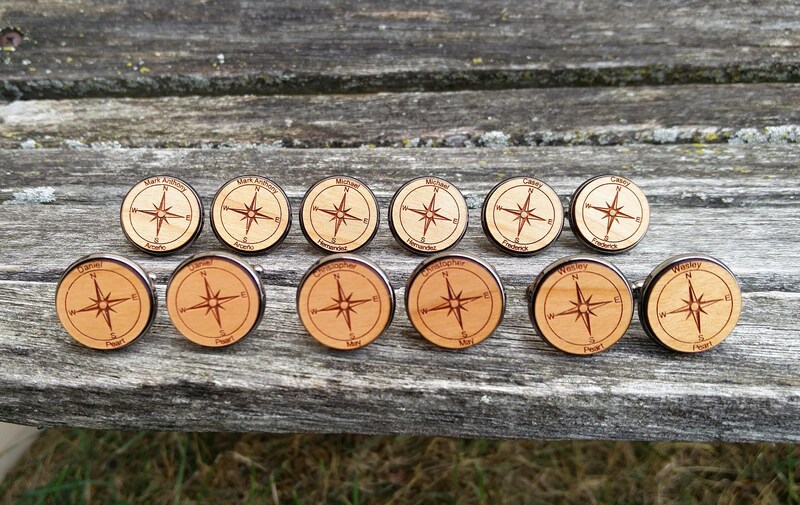 They measure 20mm across. 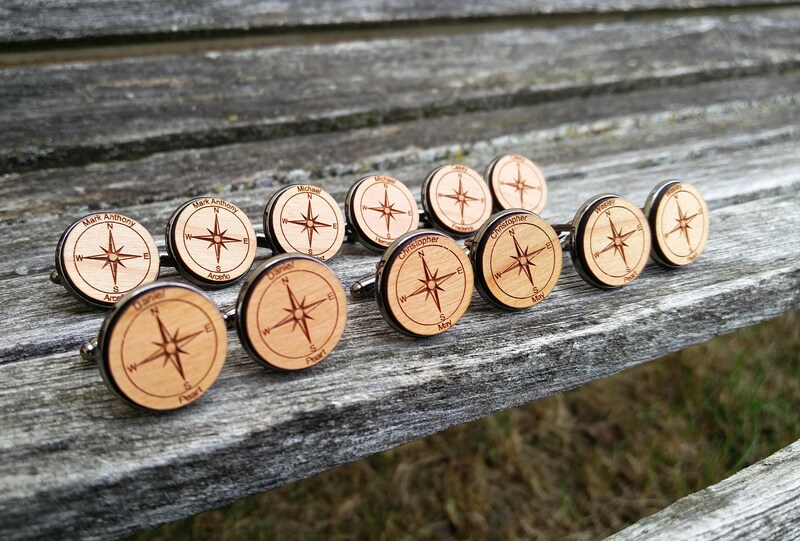 -Select how many pairs of cufflinks you would like from the drop-down menu that says "Select Quantity Here"
- Leave first and last names in the message box at checkout. Each pair can have its own name.